As the production gets underway for the Steve Jobs biopic being penned by Aaron Sorkin, some details are coming to light. 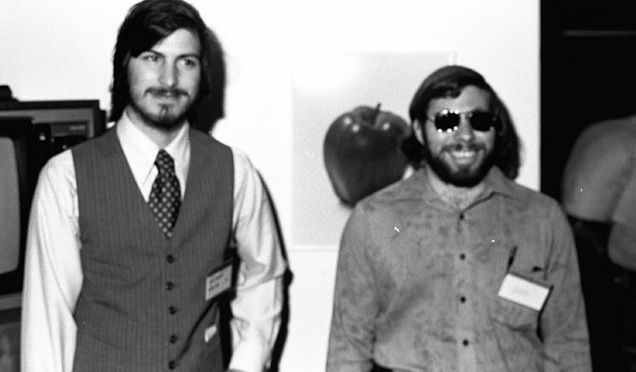 According to a report from Reuters, via the Chicago Tribune, Apple co-founder Steve Wozniak has been hired on to the production as a advisor on Jobs and on the ‘technical aspects of computers’. In addition to hiring on Woz, who co-founded Apple with Jobs in a garage in 1976, the studio, Sony Pictures, has enlisted Aaron Sorkin, who penned Sports Night and Studio 60, two of my favorite TV shows. Sorkin, of course, is most recently famous for having written The Social Network, the story of how Facebook came to be. Sorkin said that whatever it turned out to be, it was going to have a dramatic hook of some sort, he just hadn’t figured out what that was going to be yet. Drama is tension versus obstacle. Someone wants something, something is standing in their way of getting it. They want the money, they want the girl, they want to get to Philadelphia – doesn’t matter … And I need to find that event and I will. I just don’t know what it is. The production is just getting underway, and neither a lead actor or a director has yet to be named. But at least we’ve got Woz on board to make sure that the technical aspects of the flick are paid attention to. It will probably be more accurate than the actual Walter Isaacson biography of Jobs that the film is based on. Isaacson, although a student of human nature, was not exactly the most technically proficient choice for a biography of one of technology’s greatest figures. There is a competing biopic being made, which will be out in 2013. It stars Ashton Kutcher as Jobs and we’ve seen a brief initial look at the man in costume.